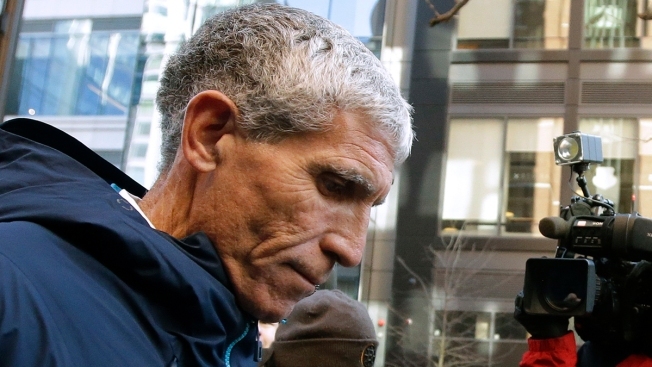 William "Rick" Singer, founder of the Edge College & Career Network, departs federal court in Boston on Tuesday, March 12, 2019, after he pleaded guilty to charges in a nationwide college admissions bribery scandal. 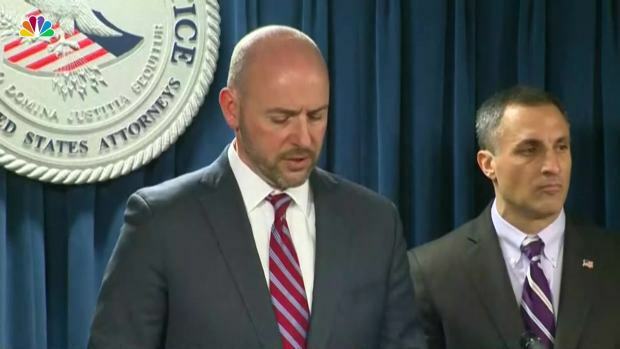 Fifty others were indicted in the scheme, from Hollywood actors to CEOs, that ranged from creating fake athletic profiles for applicants to bribing officials for more time during tests. For 25 years, William "Rick" Singer was in the business of helping high school students get into some of the country's top colleges, gaining a reputation as a master salesman who got results, but also someone who came across as devious and way too slick, say some of those who knew him professionally. High school guidance counselors in Sacramento, where Singer started his career as a college admissions consultant, used to trade "Rick stories" and warned each other, "He's shady. Be careful," according to one of them. "He was a slick talker and people believed him," said Jill Newman, who has worked as a high school counselor in Sacramento schools for decades and had several well-to-do students who hired Singer. "But every high school counselor in the area knew about him. He was sneaky from the get-go." Authorities said parents hired Singer to bribe college coaches and administrators to boost their children's chances of admission by making them look like star athletes in sports they never played. He also hired people to take college entrance exams for students or paid off insiders to correct youngsters' answers, officials said. Newman first met Singer in the early 2000s when she was a counselor at Rio Americano High School in the Sacramento area. Counselors from high schools in the area would compare notes on Singer, who rubbed many the wrong way. "We started trading stories," she said. "It was like, 'There's this guy Rick. He's shady. Be careful.'" Newman said Singer was known to deliberately target the children of wealthy people and seemed to be in the business not for the good of the kids but for the money and status it brought him. He talked about the need to build students into "a brand," which struck counselors as misguided and potentially dishonest, she said. 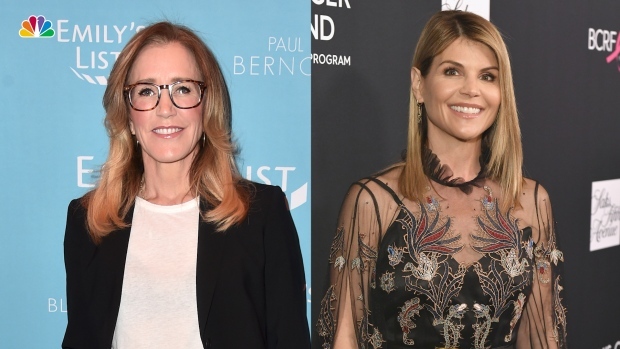 Felicity Huffman, Lori Loughlin Among Those Indicted in College Entrance Scandal DESC: Actresses Felicity Huffman and Lori Loughlin are among the more than 40 people charged in connection with a college entrance scandal being prosecuted by the FBI. He would insert himself into school college counseling sessions with parents and students — "Which is not normal, not something we do," she said — and would do all the talking and demand that students be enrolled in certain classes, often above their skill level, to help them get into colleges of their choice. In one case, he took charge of a student athlete's course load in 12th grade, setting him up with three online math classes, which he somehow passed even though at school he had failed Algebra 1, she said. "He was so good at doing things underhandedly," Newman said. "We knew kids were getting into places that they weren't quite capable of doing on their own." When she saw Singer's name in the news this week, her reaction was not shock: "I was jumping for joy, because he finally got caught." "He was a master salesperson and very popular. People hired him like crazy," said Margie Amott, another college admissions consultant in the Sacramento area, who started her own business a few years after Singer did. She said he was charismatic, persuasive and articulate and had the ability to bond with young people. Amott had little direct contact with Singer but said she heard endless stories about him from school counselors. Among them: He would tell kids he would guarantee their admission to certain schools — a promise counselors shouldn't make, Amott said — and had a website where he would say college admissions is a "science." "High school counselors had direct exposure with him. I would hear about it because they would be tearing out their hair because of unethical things he would be doing," she said. "The kid was very nervous, very upset," Hendershot told the newspaper. "It was a personal statement all about his experiences growing up poor, and I was literally sitting in a mansion when he showed it to me." She said she advised the student to be honest and doesn't know if Singer submitted the essay. Years before going into the consulting business, Singer was the boys' basketball coach at Encina High School in Sacramento but got fired in 1988, according to The Sacramento Bee. The school system would not say why at the time, but parents told the newspaper that Singer was abusive toward referees. In the early '90s, he was an assistant coach for Sacramento State's men's basketball team, the Bee reported. Federal prosecutors said he used the foundation to funnel bribe money from parents to colleges. Parents made big "donations" to the charity, and Singer disguised the payments as charitable contributions so that his clients could deduct them on their income taxes. Since Key Worldwide Foundation was established in 2013, its revenues doubled each year, from $451,600 in its first year to $3.7 million in 2016, according to its nonprofit tax filings. The foundation claimed in that four-year span to have given out about $2 million in grants, namely to university athletics, including the University of Southern California's water polo and soccer programs and Georgetown tennis. The address of the foundation was the same as Singer's $2.6 million Newport Beach home, a five-bedroom house surrounded by well-manicured gardens and potted lemon trees. The house was listed for sale a few weeks ago. "It's shocking, disappointing," said her husband, Brian Darrow, "but you know, sometimes people get wrapped up in the wrong thing." Amott and other education professionals said Singer's crimes had cast a negative light on the industry. "He's not an education consultant. He's a charlatan," said Arun Ponnusamy, chief academic officer at Collegewise, a company that helps students with their applications. "He was completely a con man."